Club will have their membership terminated. 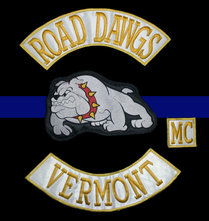 The primary goal of the Club is to promote riding and friendship among the law enforcement community. The Club was originated in June 1995. The initial intent of the group was to form a list of police officers that could call on each other rather than ride alone. Club run was made in September 1996 when the original chapter members made a two day, 1100 mile ride to Maryland to attend the National Troopers Coalition (NTC) picnic.